We are excited to announce big upgrades to our men’s and women’s Gold Level Nordic Race Suits and Jackets this season. Once again, Podiumwear has teamed up with Olympic Gold Medalist Jessie Diggins on the design of these products. “Jessie’s input and feedback has been integral,” said Product Developer Kristine Larsen. 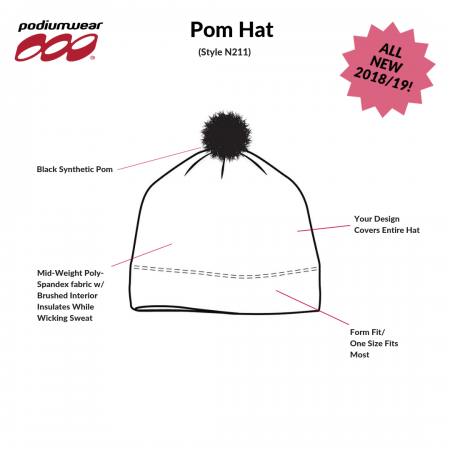 “We are so excited about all the changes, which really revolutionize these cornerstone Podiumwear products.” In addition, Diggins specifically asked that we make a hat with a pompom as well as the cozy post-race pullover that we’ve named the Afton Pullover after Jessie’s home town here in Minnesota. All of these products and more are available now on the Podiumwear Nordic Page!